When it comes to influence, the more followers a person has, the better, right? Not quite. Although celebrities can be influential, everyday, average Joe social media users (aka micro influencers) can have an even bigger impact. A celebrity influencer might be able to get the message out about your brand to hundreds of thousands — if not millions — of people. But there’s a catch. According to Women’s Wear Daily, “brands reportedly shell out $100,000 to $300,000 for a single sponsored Instagram post from Kylie Jenner.” If you don’t have that kind of budget (and a lot of brands don’t), you might think that there’s no way you can get your foot in the door of influencer and social media marketing. There’s good news, though. Micro-influencers, or everyday influencers, tend to be less expensive but not less effective than their big-name celebrity counterparts. If you haven’t tried working with an everyday influencer yet, make 2017 the year you learn more about the power of the micro-influencer. The definition of a micro influencer is pretty nebulous. Micro influencers are most commonly classified as social media users with between 500 and 10,000 social media followers. But despite that smaller following, micro-influencers tend to have higher levels of engagement. According to MediaKix, Instagram influencers with less than 100,000 followers tend to have the highest rates of engagement. Size only gets you so far when it comes to marketing. A big-time Instagram influencer like Kylie Jenner might have 84.4 million followers, but those followers are likely to come from all walks of life. Some might be teenage girls, some might be middle-aged men, some might be sports fans with no interest in fashion, others might be into fashion and beauty but not sports. Still, others might be into food or cooking and have no clue who the teams are or what’s going on in the world of fashion. Meanwhile, a smaller influencer might have a more focused following. For example, a fashion blogger with an Instagram following of 10,000 might be followed by people who are purely interested in clothes and style. If your brand sells clothes, it makes sense to partner with the influencer who works in that niche, rather than the influencer who is trying to appeal to all people at all times. If you do have the budget to hire a macro-influencer with a huge following, your company might spend its entire budget on that one social sponsorship project and not really get anything out of it. If the partnership doesn’t lead to an increase in sales or conversions for you, you’ve just spent thousands with nothing to show for it. Working with a group of micro influencers allows you to spread your budget around. Instead of giving one person $10,000, you’re able to give 10 influencers $1,000 each. If one doesn’t work out, you’ve only invested $1,000 in them and the partnership doesn’t feel like such a waste. The more influencers you work with, the more likely it is that your brand will see some measurable result. 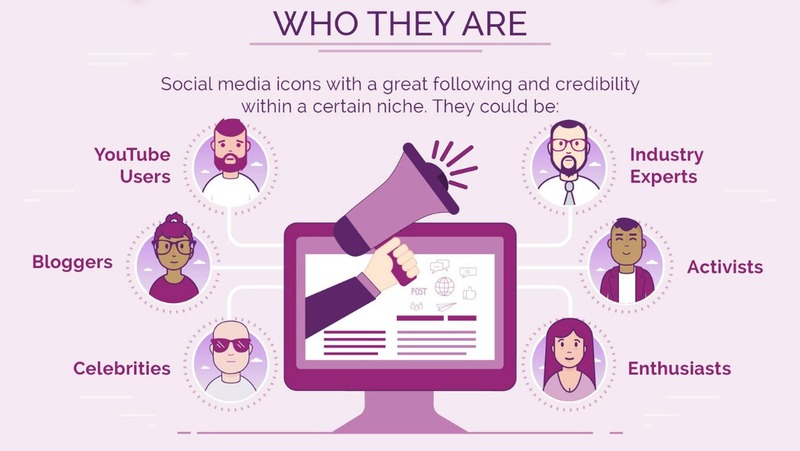 Along with being more affordable and often more effective, micro-influencers tend to be easier to connect with. Good luck trying to get a big-time Instagram star to respond to your queries. Everyday influencers, like everyday people, tend to be much more approachable.